© 2014 American Cancer Society, Inc.
Relay for Life, a fundraiser developed by the American Cancer Society, is an overnight event in which teams of people camp out around a track field or path. During the evening, participants walk around the track to remember loved ones who have passed away, celebrate survivors, and honor those battling the disease. One of the event’s highpoints is the Luminaria ceremony, where donors and attendees place a candle inside a bag marked with the name of a friend or loved one who has been affected by cancer. Relay for Life has a special program for college students called College Relay, and your campus is sponsoring such an event. Your job is to encourage students to participate in the event. Your task. 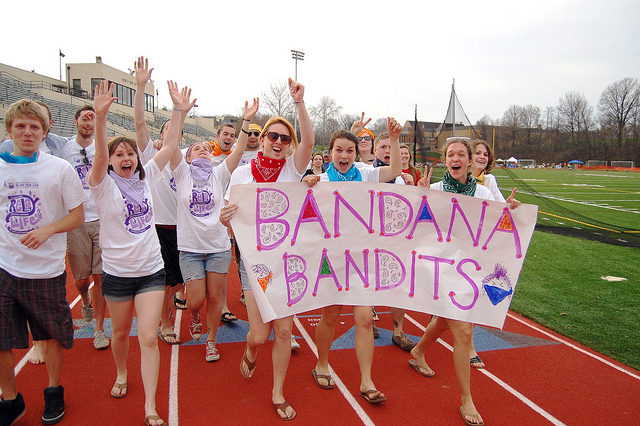 Conduct some research about College Relay by looking at the website. Then write a tweet of no more than 140 characters the organizers can send out to their followers. A possible solution for this case study is available at the Instructor Premium Websites for any of the Guffey books: Business Communication: Process and Product; Essentials of Business Communication, and Business English. Look under the tab “Supplements and Solutions.” Or write to Dana at dloewy@bizcombuzz.com and she will send the solution to your school e-mail address.